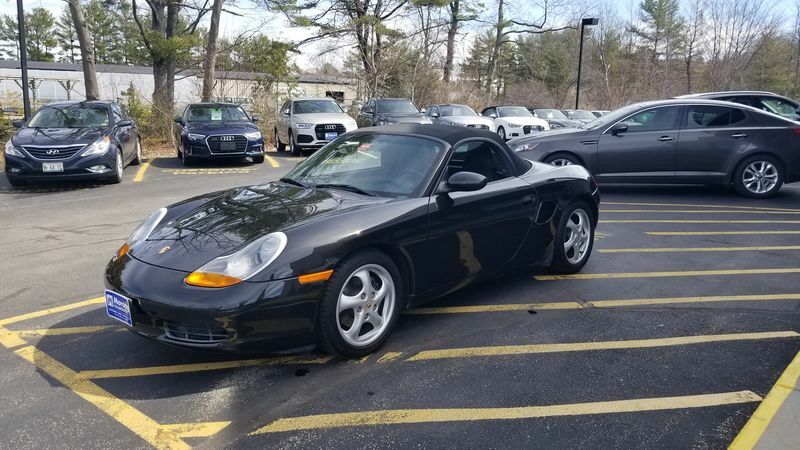 Picking up my first Porsche next week. 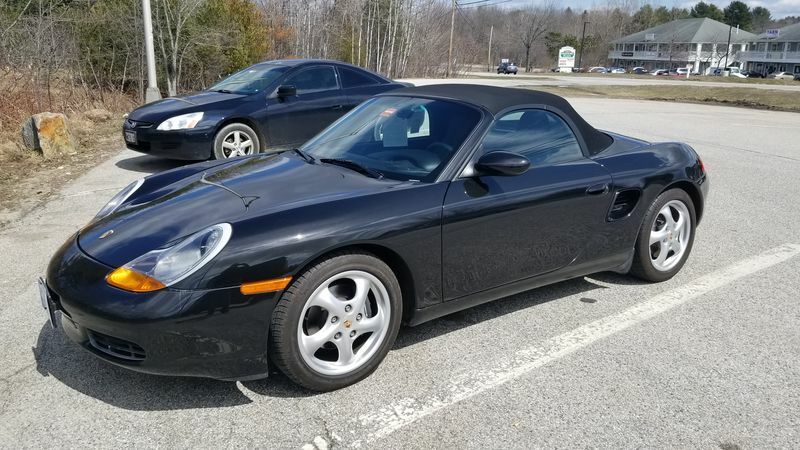 Base 2000 Boxster with only 15,591 miles on it. 5spd black on black with 6 disc cd in dash. 2 owner car always serviced at the Porsche dealer where I am buying it. Car looks pretty much new inside and out. Have service history from dealer. Still feels and looks like winter here so I hope it warms up soon! Last edited by mainiac986; 04-14-2018 at 02:42 PM. Make sure you check all hoses, belts and boots thoroughly. They have a tendency to crack with age and can lead to expensive problems. I have had that thought thanks for the advice. It has had a "yearly" service at the dealer since new. Serpentine belt has been replaced. Also had just been through the dealer shop for check before I test drove. Picked her up today and put 212 miles on the odometer. Plenty of smiles per miles! Congratulations and enjoy your new car, with only 15k miles, this car is begging to be driven. You’re gonna love it! Pic of it when I picked it up at dealer. Thanks, I love driving this car! I bought an equally pristine 2000S almost 4 years ago with 10,800. It had always been garaged and very well maintained. I've been trying to keep it as well maintained, but I've been putting 5 - 6k miles per year. Just got it out of storage with 32,000 miles and just found the cv boots are torn so I'll be buying my first repair (I'm not at all mechanically inclined). I wish you years of joy with your beautiful 986.